Is healthier eating on your mind lately? Check out this awesome giveaway hosted on Wife.Mother.Teacher. 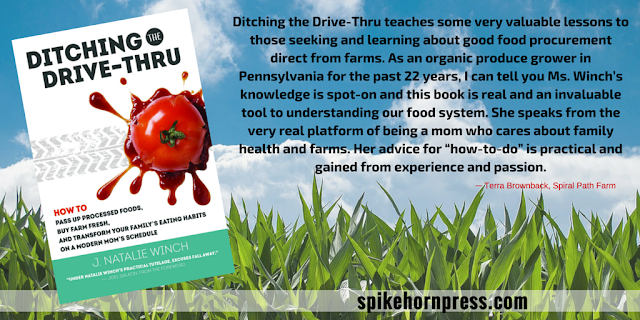 this November - one lucky winner will receive their very own copy of Ditching the Drive-Thru: How to Pass Up Processed Foods, Buy Farm Fresh & Transform your Family's Eating Habits on a Modern Mom's Schedule. Ditching the Drive-Thru takes you through the journey of making better eating choices for your family. 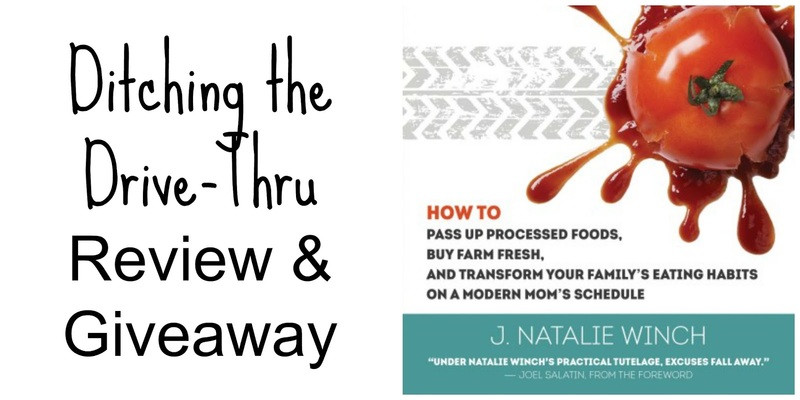 J. Natalie Winch does a fantastic job not only educating, but also laying out a plan on how to transform your eating one small step at a time. Click to read Wife.Mother.Teacher's full review and then fill out the rafflecopter form below to enter to win. First Frost: Pickled Tomatoes looks like an interesting article! I would love to give this to our younger daughter & mother of our grandson who will be 5 in 2 weeks.